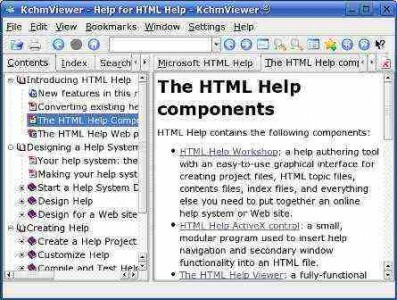 Microsoft Compiled HTML Help or more commonly known as .CHM format, is a proprietary format for online help files by Microsoft which was first released in 1997 in Windows 98 as a successor to the Microsoft WinHelp format. CHM packages and archives all HTML files into one single file, including the associated images and other media. 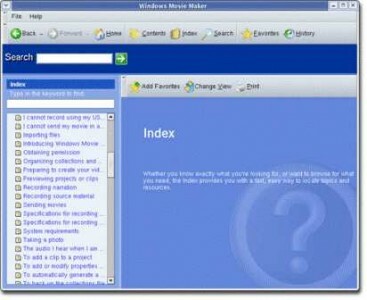 Although been replaced with new generation of Windows Help called Microsoft Assistance Markup Language since Windows Vista, .CHM frmat is still supported and distributed through Windows XP and Vista platform (although HLP extension format has been dropped in Vista). However, Linux and Mac OS X machines do not have built-in support for CHM format either, and requires user install third party tools for CHM support. 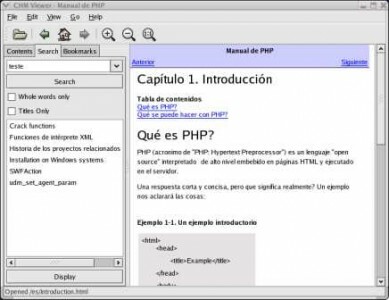 There are plenty of CHM files viewer libraries for Linux operating system that allows Linux users to read and open CHM files. And most of the CHM viewer libraries is available in the default distribution repositories of popular mainstream LInux distros, or in ports collection of BSD system. Fedora 9 already installed with Okular application, a document viewer for KDE 4. Okular supports Microsoft Compiled HTML Help (CHM) with the libCHM backend. In other Linux distros using KDE4, Okular can be installed to view CHM files too. libchm and chmlib are a very basic but sufficient library for dealing with Microsoft ITSS/CHM format files. These two libraries (each for different Linux distribution) serve to provide basic functionality related CHM files, which other CHM viewer tools rely on and use. With just the basic library, user will be able to extract the contents of the CHM files. And as most third-party CHM tools to view CHM on desktop require the basic library too, it should be installed first, if it’s not installed yet. For BSD or FreeBSD, search for the application in the ports collection, and then issue “make install clean” command in the application port directory, or use “pkg_add -r <package_name> command. The standard KDE viewer for CHM files. Available in most repositories. Available for both Windows and Linux platform, and support Microsoft Windows Help (WinHelp) in .HLP format, Microsoft HTML Help 1.x in .CHM format, and Microsoft Help 2.0 in .HXS format. ChmSee is an open source Gtk2+ package for GNOME wrote by a Chinese. After downloading the source package tarball chmsee-1.0.1.tar.gz, run the following commands to compile ChmSee. xCHM is a cross-platform GUI front-end to chmlib, supports UNIX systems (Linux, *BSD, Solaris), Mac OS X and Windows. Install via repositories package or ports collection, else download for various xCHM distro packages available here. 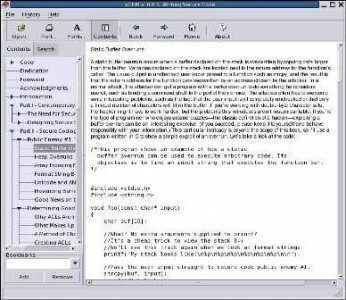 KCHM is a .chm file viewer which uses the Qt widget toolkit and the KDE core libraries. Seems to not been actively developed anymore. Requires chmlib, Qt 3, KDE 3.1.4 and automake stuff for compilation, where source package can be downloaded from SourceForge.net. 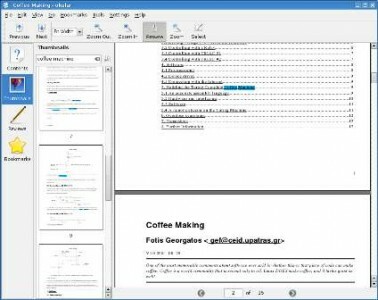 CHM Reader add-on is an extension for Firefox web browser that able to open Compiled HTML (.CHM) file. It adss a new “Open CHM Files” entry to the Firefox File menu. When you opening a CHM file, the table of contents is hidden by default, but can be brought up by pressing Ctrl-E.
To install CHM Reader, go to this page with Firefox and then click on “Install” button. Restart the Firefox after installation. Change the filename to actualy file name for the CHM, and destination_dir to a directory to place the extracted and unpacked HTML files and contents.